We are often asked what the teenagers do when they leave FairMail and how we keep track of their progress. This is the story of Gabriel, undoubtedly one of FairMail’s most talented photographers. He was 14 years old when he joined FairMail, living in a local boy home. Last December Gabriel turned 19 and therefore left FairMail. What is he up to know? Let’s find out! Gabriel, what are you doing at the moment? 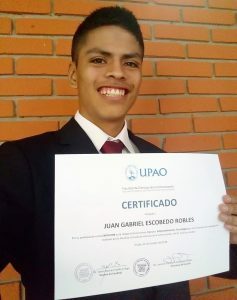 I’m currently studying Communication at the University of UPAO in Trujillo. I am also a member of Runa Foto, a photo club in Trujillo. I love taking part in their photo workshops and excursions because it gives me the possibility to further improve my photo skills and it brings me closer to become a professional photographer. The Christian organization Luz de Vida is supporting me on a more personal level thought their personal development workshops. What are your goals for the near/mid-term-future? My main goal at the moment is to finish my studies and become a successful professional so that I can pursue my dreams and help other people do so. In the future, I would love to go on a trip to Mexico to train as a photographer and to learn more about the country and its culture. I would also like to visit the United States to share life stories with young Christian people. Last but not least, I would like to improve my housing conditions. How has FairMail helped you grow and how is it supporting you now that you left? FairMail supported me in multiple aspects of my life. In the first place, it has allowed me to develop as a photographer and as a person. In FairMail I have learnt how to make better decisions for my life and it has helped me achieve a clearer picture of my future. Secondly, thanks to FairMail I was able to pay for University and for English classes thanks to the money that I’ve earned (and I’m still earning) with the sales of my cards. 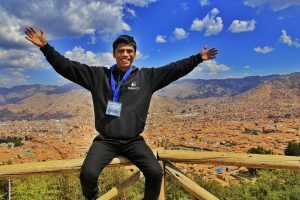 Last but not least, FairMail gave me the opportunity to travel across Peru and create unforgettable memories with fellow photographers, travelers and volunteers from all over the world.